Are you sensing these 4 similar energies urging you on? How in touch are you with the rhythms of nature and our planet? 1. We just passed the Equinox on March 20, one of two dates each year when the hours of daylight equal the hours of darkness. Those of us in the northern hemisphere are emerging from a reflective, nurturing dark time. In many traditions, the first day of Spring marks the start of a new year. It is a time of clearing the slower energies of the winter and preparing for a new cycle of growth. It is a time of awakening and recommitting to life as spring brings in energy and warmth. It is a celebration of new beginnings and of being born again. 2. At this same time, in astrology, the sun moves into Aries – a sign representing energy, drive, initiative and motivation. There is a restlessness and an openness to change and new experiences. The symbolic ram is leaping up the mountain. 3. In numerology the year is split into 9 parts. We are just entering the 3 cycle. The 3 energy is the fruit of union of the one and two. It is the energy of expansion, expression, activity, art and the joy of living. It is starting at this same time of Aries and the Equinox. From a higher perspective, the THREE is the intelligence energy of expression according to universal laws and principles. It is a manifesting energy as the initiating, wilful ONE energy combines with the loving, integrative TWO energy to create the THREE energy of clear self evaluation and intelligent application. Life unfolds in alternating rhythms of yin and yang, male and female, giving and receiving, action and reflection and between even and odd numbers. The inward, nurturing and love energy of the 2 cycle and Pisces moves into the outward focused, intelligent ‘doing’ energy of the 3 cycle and Aries. The 3 is an energy of truth, wisdom and authenticity. If it is not fully integrated or understood, it can be experienced as pride, judgement, busyness, impracticality, manipulation, self pity, being a workaholic, being paranoid and feeling a victim. 4. The energy of this year, 2017, according to numerology is a ONE year. ONE is a male, fiery, active, yang, father-principled energy. This is a time of new beginnings. It is a time to develop your will, to assert what you stand for and take the lead. Be open to new things and new ways of doing things. Plant new seeds. Stimulate your creativity and lay out new plans. Muster your courage to step forward in life. That’s 4 perspectives – all with similar energies. It is quite amazing when natural order and cycles fit together and we align with them instead of going against the current. 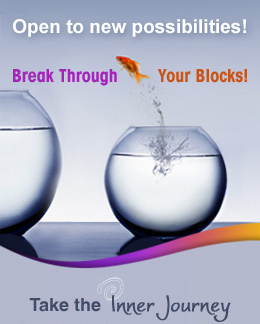 What new energies, goals, and persepctives are unfolding for you? Wishing you an inspiring, productive and meaningful new chapter in your life’s journey. At least once per week I have a meaningful, soulful dream. Let me share this simple dream with you. 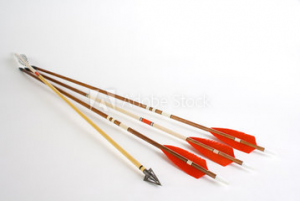 I had a large bundle of arrows all thrown together. So I started sorting them so they were all facing the same direction. I noticed the bundle got lighter and started moving with me riding on the bundle. As I finished aligning the arrows, the bundle was getting lighter and brighter, moving fast forward and rising higher. So what this means to me is to exercise, eat, breath, work, relate, heal, intuit, grow, feel, think, love in more aspiring, creative and intentful ways. To consciously participate more in all that I do. To be conscious of my robotic responses in life and to align and elevate my overall participation. To more great, simple, understandable dreams for you and yours. Two books that never get dusty in my library are The Healing Power of Illness by Thorwald Dethlefsen.. and The Bodymind Workbook by Deb Shapiro. You see, I deeply believe that our higher guidance speaks to us at all times, and if we do not catch its message intuitively, mentally or emotionally, then we may experience it physically. If we miss or ignore soul guidance, we can suffer for it. I know – from experience. Last summer, I took a month retreat to get more clarity and direction. A message came through, sure enough, but it wasn’t what I was hoping for. I hurt my back, and for 5 months, I suffered consistent sciatica pain. It took stubborn me that long to get to the root cause of it. I deciphered multiple messages from this experience. And when I owned and started acting on the messages, my pain went away. It was time to stop procrastinating (I’ve been doing this for about 5 years) and muster the courage to offer the 4 programs I’m most passionate about (intuition, how to raise consciousness, manifesting methods and universal laws). I now see my life purpose more clearly: to connect with and share more spiritual truths that deeply resonate with me. I need to shift how I do things – to release my habitual tendency to control and plan so I can tap more powerfully into my intuition and inspiration, while still maintaining good self discipline and persistence. I have to do more work on my own as I tend to compromise too much when working with others. When I recognized the truth of these messages and committed to act on them, my sciatica pain went away – overnight. anchor our goals and vision into our powerful subconscious minds. And it all starts now. 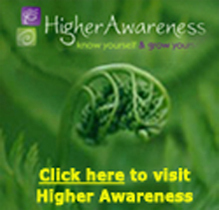 Watch our blogs and Higher Awareness membership page for updates every few weeks. One of the biggest accomplishments a person can ever have in his life is if he is able to find his life purpose and live his life fulfilling that purpose. It’s a special kind of happiness if you can wake up every day knowing that you are on your own path and that you are living the life solely intended and designed for you. Wouldn’t you want to be able to live that life? Contrary to popular belief, you don’t actually have to go on a long sabbatical or retreat in order to reveal your life purpose. Sometimes all you need is some quiet time for yourself and start asking yourself the right questions. You have the answer within you, you just need to be able to consciously let it out. If you want to start revealing your life purpose, we’ve found these sample questions from LifeHack that can help you bring out the answers. Asking this question should pertain to your life as a whole. Do I love my family, friends, and work? Am I doing things outside of my job that I love like drawing, writing, or any creative art? If you are not doing what you love, look at why you haven’t been doing them and start incorporating them into your life. 2. Am I surrounded by people that I care about? It’s important when looking for purpose in your life, you look at the people around you. Your friends, family, co-workers should all be people who support you in your quest to find real purpose. Not having those types of people around you could harm your progress in finding meaning. When I pursued writing, my friends and family played an important role in encouraging me to do it. Even if I didn’t think an article I wrote was good, they still knew it made me happy to write and that type of positive reinforcement does wonders. 3. Am I Happy With Where I Am? Look at every aspect of your life. Ask if you are happy with what you have done. Are you going in the direction you want for your life. If not, what can you do to get there? It is hard not to compare our lives to our friends to measure success but try hard not to get caught up in what others have. The true measurement of happiness is are we doing what we want and being happy with the journey that lies ahead. 4. Is there more I can do? You already know there is always more you can do. The real question lies in what can you do more of. Think of what you would want to contribute to society and what impact you want to have. There are tons of issues in our society that need people looking to make an impact. Think of what are some social issues that trigger you emotionally. 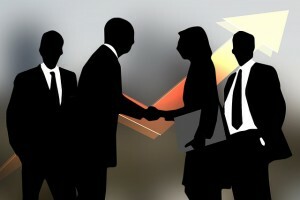 Start there and find ways to get involved with organizations who focus on those social issues. 5. Do I feel satisfied? Most of us attribute satisfaction with work or material possessions. If we don’t like our job, we are not satisfied. If we don’t have the things like a big house, nice cars, or wealth, we are quick to call ourselves failures. What we need to do is take a real look at what we define as success for our own lives rather than what others call it. Here at Higher Awareness, we developed a quick and FREE Find Out Your Life Purpose Test which you can do any time of the day and can give you answers within 5 minutes. If you want to try it out, you can check it out here. These are sample questions that you can use as your guide on your journey finding out your purpose in life. If you want to see more sample questions, you can check out the complete article over at LifeHack. Your personality defines everything you do, think and how you react to certain situations. Your personality is also one factor that distinguishes you from another human being. We all have different personality types and it may surprise you that you can benefit more from understanding your personality type from others. 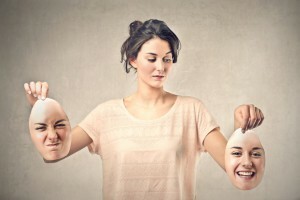 We’ve rounded up 3 important reasons why knowing your personality type can contribute to your journey of self-awareness and self-acceptance. It explains why you’re different from another person. There are a lot of people who get depressed if they don’t react or respond the same way as the majority of the population. Some even think that this is a sure sign that their “crazy” or “abnormal”. But you reacting differently to a given situation does not mean you’re wrong, but it actually is a reflection of your personality. If you would rather stay at home on a Saturday night than go socializing – that is perfectly fine; that’s a part of your personality. You can manage your activities better. Being a morning person, for example, is all part of your personality type. Having an understanding of where you are most productive can help you manage your day to day activities better. If your creative mind kicks in with some afternoon tea, then you can do all menial chores in the morning so you can have the afternoon as your creative window. Understanding where your personality thrives best can have a huge impact in your work and in your daily overall mood. You are able to recognize when something is not right. That feeling of having a disturbance in the Force can very well be applied in your life as well. When something doesn’t feel right within you or something is clearly making you unhappy or tired, you can trace it’s root cause if you have an understanding of your personality type. Take for example if your personality type if leaning towards someone who is introverted, after a whole day of speaking or spearheading meetings you will generally feel abnormally exhausted. If you’re not aware that introverts need to re-charge you may begin to assume that you are unhappy with work or you are being abused at work. 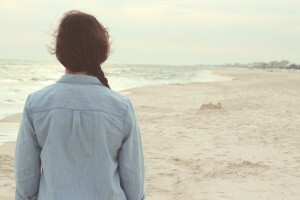 All of these unnecessary thoughts can contribute to your sadness, when all the while all you really needed was a break. These are just some of the many reasons why knowing your Personality Type can hugely benefit your personal growth. 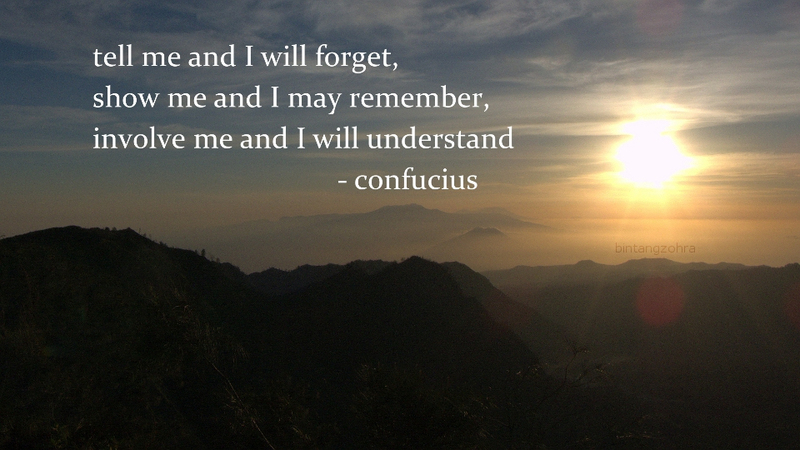 In as much as you want others to accept and understand you, you must first begin with yourself. 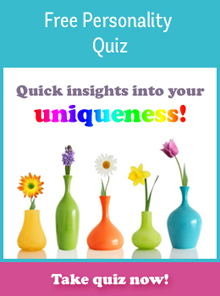 If you’re curious to know your Personality Type, check out this quick and FREE Personality Type Quiz at Higher Awareness. They always say that the true measure of success lies not in material wealth but in what you have done for others. On your death bed, your possessions will be worthless to you but your impact on others will have lasting meaning. If you’re passionate about personal growth and feel drawn to serve others, then facilitating growth workshops may be deeply rewarding for you. Being a facilitator, you can spark your participants’ desire and excitement to reveal the treasures of self discovery. By sharing powerful tools for inner exploration, you can empower them to draw out their own inner wisdom. It’s so beautiful to be a catalyst who guides a group of people to lay claim to their wholeness, deepest desires and destiny. So if you feel the call to support others to grow and learn, how do you get into this field? Thanks to the miracle of the internet, you can enroll in an ‘online’ workshop facilitation training program that supports you in delivering ready-made (‘out of the box’) presentations. If you wish, you can also be guided to identify, create and deliver your own content for workshops. The best benefit, of course, is that you can access it 24/7 at your convenience from your own home – even in your pajamas! There’s no pressure – you can manage your own pace and timing. If you need more time on a topic, you can take it. You are in charge. And an online program need not be taken alone. A good program will offer you access to a forum so you can get any support you require. If you have questions or want feedback on an idea, you can reach out to the community of participants just like you and the program instructor to get their input. If you feel the appeal of this and the timing is right to take on the challenge – explore our Online Workshop Facilitation Training Program today! What does it really mean to ‘go with the flow’? It’s actually great advice grounded in …science! So here’s a very quick and simple but incredibly helpful science lesson. Quantum physics tells us that everything in existence – EVERYTHING! – arises from a unified field of energy. And we know energy moves. Scientists tell us the universe is continually expanding, without end. If the universe is expanding, then obviously, we humans are expanding too. You can prove this for yourself. Close your eyes and imagine being happy… loving… grateful… playful… creative… With each of these, you feel open and expansive, right? 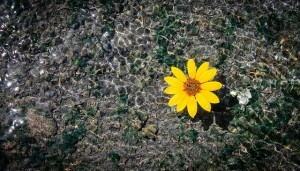 All qualities we label ‘good’ are aligned with the essential expansive movement of the life force. When we are feeling these delicious qualities, we are literally going with the flow of life. Okay then: why are we not always flowing if that’s what the life force does naturally? The supremely intelligent field that gives rise to all of existence has bestowed human beings with the ability to think. Over eons, in the playground of the evolution of consciousness, we’ve learned to doubt and fear, to judge and criticize and complain. All of these ‘negative’ ways of perceiving ourselves and life create what might be described as an energetic fog which slows or blocks the bright, clear energy of the unified field. When we feel contracted (as we do with fear, doubt, guilt, depression and so on), we have the experiential proof that we are out of alignment with the life force. That’s why it feels so terrible! What do we do when we find ourselves blocked? Remember that if you’re feeling contracted, then there’s misinformation at play. You are holding some belief that is not true to your innate nature. Breathe deeply, stay present and stop thinking about the negative and false storyline. Focus your conscious attention on something, anything that makes you feel better. These simple steps will shift you out of the darkness and discomfort of contraction so your innate expansive state can again be felt. You don’t have to make your energy flow – it does it naturally, if you allow it! Life wants us to go with the flow and enjoy ourselves. We can do that more and more easily once we understand how life works. And for a bit of fun: If you’d like an anthem to support ‘going with the flow’, sing along with Roger Clyne and the Peacemakers. When someone tells you he or she is feeling lost in their lives and you ask them what led them to feel that way – they would usually tell you that they don’t exactly know. This is one of the tell-tale signs of someone who hasn’t really figured out themselves – not sure who they really are and what their life purpose is. These are people who have just been going through their lives as mere bystanders and have not been the captain of their own ship. When you allow external factors to take control of your life, it can be comfortable at first but sooner or later you lose a sense of meaning and who you truly are. It may be very cliché for someone to say that you need to find yourself first before you can work on your life – but in reality it’s one of life’s greatest truths. You need to know yourself better and be in touch with your life purpose if you truly want to live a meaningful life. Here are 5 reasons of how you can benefit once you know your life purpose. 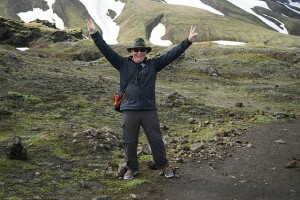 Self-acceptance becomes possible – People who say they hate their life or want to live another person’s life do not yet truly understood their own path and purpose in this world. People who are engulfed with jealousy are depriving themselves of the wonderful possibilities if they lived their OWN purpose. Once you get in touch with your inner self and learn more about yourself, only then can true self-acceptance become a reality. And once you accept who you are, you will also begin to feel good in your own skin and find yourself not needing to compare your life with others. You build self-confidence – When you have a clear picture of who you truly are and your purpose in life, you ultimately gain confidence with how you deal with your life. It’s just like getting lost in a forest – if you have a map your confidence that you can get back to safety greatly increases. However if you don’t have any point of reference or any knowledge of the place – you are more likely to panic and second guess every turn you make because you have no idea where you are actually headed. People are comfortable around you – Because you know who you are and your purpose, people can actually begin to sense that vibe of self-assurance and will actually be drawn to you. If you know of someone who is not in a good place at the moment and unsure of what exactly he/she is doing with his/her life, they tend to be very self-destructive. On top of that – they are likely to drag people into their misery. The more you are sure of yourself, the more people are comfortable to be around you. Better choices in relationships – People who are unsure of themselves and are generally unaware of the path that they want to be on, will find themselves forming relationships with the first person or group that gives them attention. Their clouded judgment can lead to forging relationships with the wrong types of people. So instead of taking you out of darkness, you end up digging a deeper hole for yourself. On the other hand, those who are sure of their path and purpose know exactly what type of people they should invest their time and feelings in. Know what career path to follow – A lot of unhappiness exists from not being in the career that people want to be in. If you don’t want to end up as part of the statistics, you need to understand yourself first – understand your strength, weaknesses, where you are happy, where you are sad, and ultimately your life’s purpose. If you give proper importance to this, you won’t ever end up in a job that pays the bills but kills you day by day. The reasons are endless why you should start investing time and effort in knowing yourself and your life purpose – the reasons above are just scratching the surface. If you want to take the first step and take control of your life feel free to check out our Free Life Purpose Quiz so you can have a better understanding of yourself. Good luck in your journey! Whether you’re an entrepreneur starting your first business, a stay at home mom freelancing online or if you’re like most people working in offices either for small or big corporations – knowing your personality type can greatly help you when striving for success at work. People oftentimes underestimate the power of knowing themselves – most people think you just have to avoid the negative stuff and carry on and focus on doing a good job. As a result, a lot of people end up being unhappy and dissatisfied with their work. There are a lot of benefits you can get when you know yourself. We’ve trimmed it down to the 3 most important benefits self-awareness can have towards your goal of succeeding at work. Knowing what will work & not work for you – Every person has different preferences that affect how they work. Having an understanding of your preferences can you make you more efficient and productive at work. This is because you understand your limitations and optimal work “environment”. When you work outside of what naturally works for your personality – you tend to exert more effort in order to perform well. This can lead to exhaustion, mistakes and unhappiness at work. You become a good team member or even leader – Knowing yourself means having an idea of your strengths and weakness. When you are part of a team, you make yourself more valuable if you know how you can use your strengths to best serve the team. Knowing your weaknesses also allows you to be able to do something about it depending on what the team requires. More so as a leader, being aware of these attributes can best help you in dealing with various issues and personalities within your group as well. Be in the right career path – There’s nothing worse than feeling stuck working on a job that you loathe. People usually end up with the wrong career simply because they don’t know themselves well enough yet. They don’t have an understanding of their personality, strengths, weaknesses, character, and values – so they don’t know which career path to choose. Matching your personality to the type of job you apply can be the difference between coming to work with so much hope and happiness as opposed to just constantly waiting for the day to end so you can escape your work. Needless to say it will affect your job satisfaction and overall personal fulfillment. These are just some of the best scenarios you can be enjoying if you give importance to stepping back and knowing your personality first before moving forward with your work. If you’re ready to get a better understanding of yourself – check out our Free Personality Quiz to help you uncover and have a better idea of your true self. 4 years of writing down a goal, I am finally doing it now – one month of seclusion in a rustic cabin in the woods with my own beach. I finally succeeded. I cook outdoors on a fire pit, I share the woods with 4 shy foxes and 2 moose. There is no TV, newspapers, commitments, interruptions…. but I do have power, my cell phone with internet service, water, a small fridge and a grocery store about 10 minutes away. Life is good – so far in the woods. I found it much easier to commit to daily exercise, no sugars, no wheat and no dairy. My energy, body and brain were reaping benefits after just 2 days. My meditations were deeper in the silence of dragon fly wings. The evening quietness and darkness offered up great sleeps. 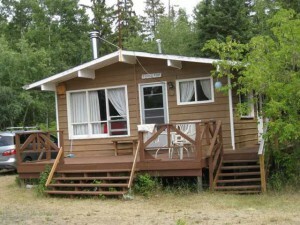 The cabin is on a recognized spiritual healing lake that has a yearly healing pilgrimage for the largest aboriginal gathering in Western Canada. And I am here to share with you my insights on thinking as it is much clearer – even in my first few days. How do you manage the multitude of thoughts that bombard you? Initially urges, intuition guidance, glimpses of a bigger picture tease us at subtle levels and they need closer listening as they are often unclear on their own. That is why the number one thing that must be done is write them down. Daily review your thoughts (especially what you took time to write down) as you are now coming from a different perspective. Add to it new insights. If you sense there is something gelling or brewing or has some substance to it, reflect on it, do a dialogue with it, verbalize it, visualize it and ask it questions. Is it part of something bigger? Is it a metaphor for something else. You have been honoured to receive some answer to your prayers or some higher guidance and you may want to take some time and make some effort to make sense of this guidance. Get a sense of what are the blocks as new ideas often come up to teach us some humility, some learning, the opposite, or a new skill or value. Then you are ready to share it, ideally with a wise mastermind group so they can tune into it, add to it or shoot holes in it. Review it and rethink it from new perspectives. Anchor conclusions and ideas back into your subconscious mind (so it can work on it). Share it with a supportive, critique, brainstorming group. Test it and fine tune it and if you are inclined present, publish or monetize it. Our conscious and subconscious minds are both so powerful and there are great rewards as we learn how to work with them more effectively. Learn new ways to process life’s many stimuli. Journaling Tools – 50 unique tools for new ways of thinking.